These are sometimes referred to as the SOP Act, BCISOPA, SOPA, or sometimes even the Securities of Payment Act! The Security of Payment Act is a very technical process, but an effective one, in allowing the payment dispute to be decided one way or another. Our expertise lies in preparing your claim and adjudication application perfectly, with high levels of detail and well-presented documents and evidence. We will argue hard for every cent you are owed. That is why we have been so successful over the years with over a thousand construction contractor clients and millions recovered every year! The Building and Construction Industry Security of Payment Act 1999. It came into force in 2000 and has since had a number of amendments. It has become the model for the version of the Acts that have come into effect in all Australian States except Western Australia and the Northern Territory; whose adjudication process is based on a British model. Every year there are around 700-1000 adjudication applications in NSW. The Building and Construction Industry Security of Payment Act 2002. It came into force in 2002 and had a major amendment in 2007. Every year there are around 300-400 adjudication applications in Victoria. The Building and Construction Industry (Security of Payment) Act 2009. It came into force in 2010. We have run some very successful matters in A.C.T since 2010 and recovered over $255,000.00 in payments. The Building and Construction Industry Payments Act 2004. It came into force in 2004 and has since had a number of amendments. It is perhaps the most amended Act in the country with some changes not working as well as hoped. Every year there are around 500-600 adjudication applications in Queensland. The Building and Construction Industry Security of Payment Act 2009. It came into force in 2011 even though it was passed in 2009! We have run some very successful matters in SA since 2012 and recovered over $811,000.00 in payments, and the Act remains as effective in South Australia as anywhere else. The Building and Construction Industry Security of Payment Act 2009. It came into force in 2010. We have run some very successful matters in Tassie since 2012 and recovered over $100,000.00 in payments plus one huge matter for $1.6 million! The Construction Contracts Act 2004. It came into force in 2004 and had a major amendment in 2007. Every year there are around 150-200 adjudication applications in WA. So… What’s Happened To You? I can’t get paid for Variations that they asked me to do. I can’t get paid my final payment claim. I'm stuck! They’ve back charged me all I am owed, back to $0.00. They’ve approved my payment, but just won’t pay it. I can’t get my retention paid! Please help! They’re raising defects I’ve never heard of before. They won’t pay me anything at all! What do I do? Contractors Debt Recovery can help. Contact us now! I was in a great financial crisis last year in June 2015 as my client who is a prominent property group took a U turn on the payment of my invoices amounting $77,000.00. I had done over 35 Designs for his projects one after the other and I trusted them that they will pay my fees. However, they started twisting my arm to accept $ 22,800.00 only and started disputing on many items of my invoices which were clearly made a part of our signed contract. It was very frustrating. I started searching legal help in the internet and found Contractors Debt Recovery’s website and came to know about Anthony Igra who had a number of references and testimonials on the company’s web portal. After reading a few I developed confidence that all is not lost yet. I found a ray of hope to recover my payment from the dishonest, cunning and cheating developer. Thereafter I contacted him on the telephone and went along with his advice which had a number of steps including submission of my signed contracts for each of the 35 cases, copies of the certified and completed designs and the invoices. Anthony with his professional expertise and vast experience of recoveries of debts prepared everything on my behalf and served on the Respondent. Although the client had prominent lawyers who responded to the letters, they had no experience in dealing with Anthony on this subject. Anthony systematically nullified their legal responses and moved the claim to adjudication. The adjudicator examined the submissions thoroughly and the terms of contract based on AS 4122 – Conditions of Contract for Design Consultants. Their interpretation of the terms and examination of my claims resulted in a determination for the respondent to pay $56,800.00 to me within a week which included fees of $5,445.00. 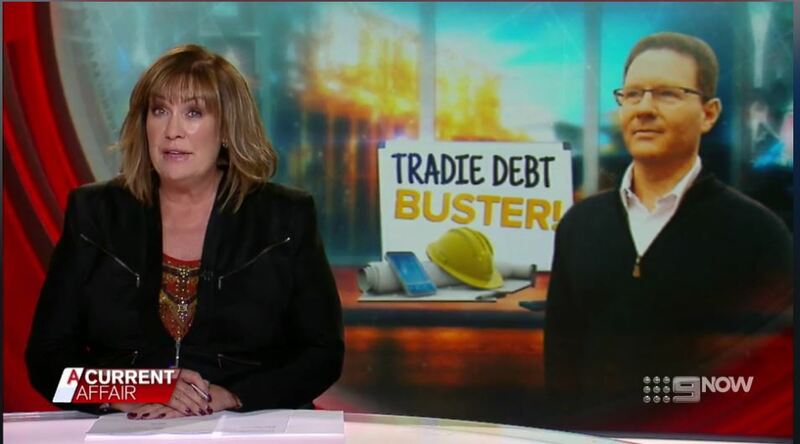 I saw the client who had a band wagon of experienced and clever lawyers desperate to pay my cheque of $56,800.00 before the deadline as they were very much scared of the consequences of disobeying the Adjudicator – and Anthony’s next move. I, who had lost my confidence earlier, feel very strong. The 36 page verdict of the Adjudicator has recharged my batteries to claim the balance payments held up by this developer. I take this opportunity to laud Anthony for his professional ability to recover such a large amount. It was a very hard slap on the Respondent’s face. These guys have a very bad reputation in the market and bad payment history as most of the electricians who met me had been unpaid at some stage or the other and they stopped working for them.